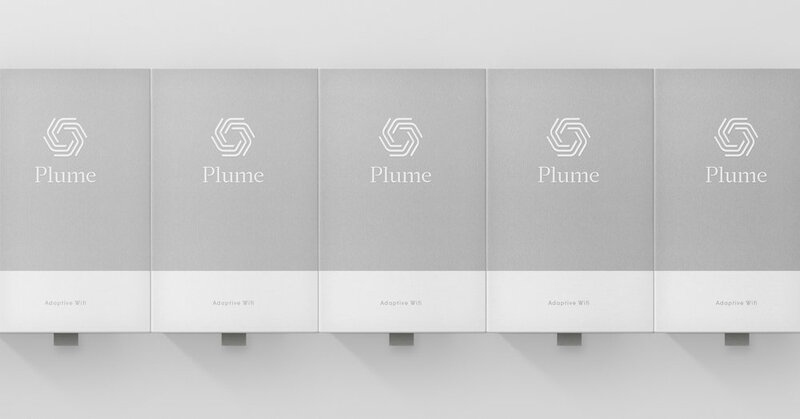 Visual identity, packaging, and web design for Plume. 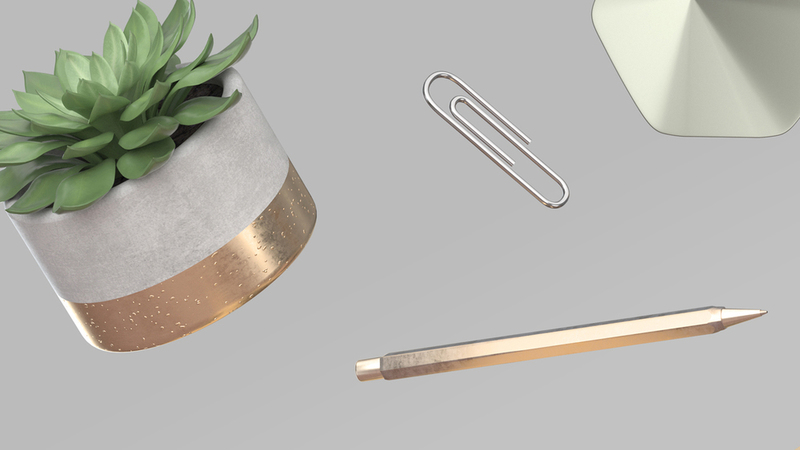 Plume is a California-based startup with the mission of bettering the home-wifi experience. 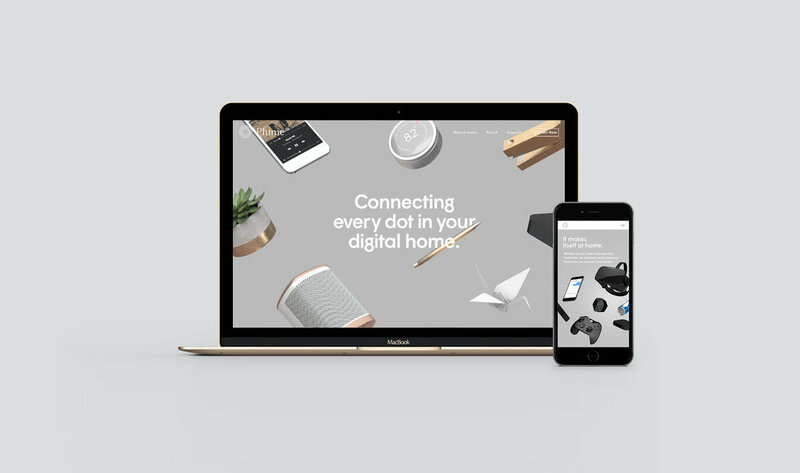 Their 'adaptive wifi' network uses an intelligent cloud-based platform, and thoughtfully designed hardware, to deliver a consistently powerful wifi connection. The mark picks up on the hexagonal form of the product, while using linear forms that expand on the universal wifi-symbol. The word-mark was designed to position the brand within the home, while picking up on the forms that comprise the mark. Using a warm & neutral color palette, and home-oriented materials — the visual identity for Plume positions the brand in the home, rather than in the technology sector.